“Things aren’t gonna change unless you do.” These words were said to me in a conversation with Ron, the gentleman who checks people in at the doctor’s office. We were discussing having fun with what we do. Both of observed that more than half the people we interact with complain about things and most especially work. Our jobs are our choosing. We chose to put in applications at the places we did before the hiring manager made us an offer. We choose to take the offer. When we interview, if we are not asking questions to see if the job is a fit for us then we did not do our own due diligence in the hiring process. It’s up to us to decide if the jobs we have are appropriate for our particular situation and expectations. It’s up to us to find the fun in what we do on a daily basis. It’s up to us to focus our attention on what we want instead of what we don’t want. It’s up to us to choose an attitude appropriate to our situation and the life we want to create. Many people look at happiness like it’s something to achieve and thereby separate themselves from it. Happiness is not the end game. 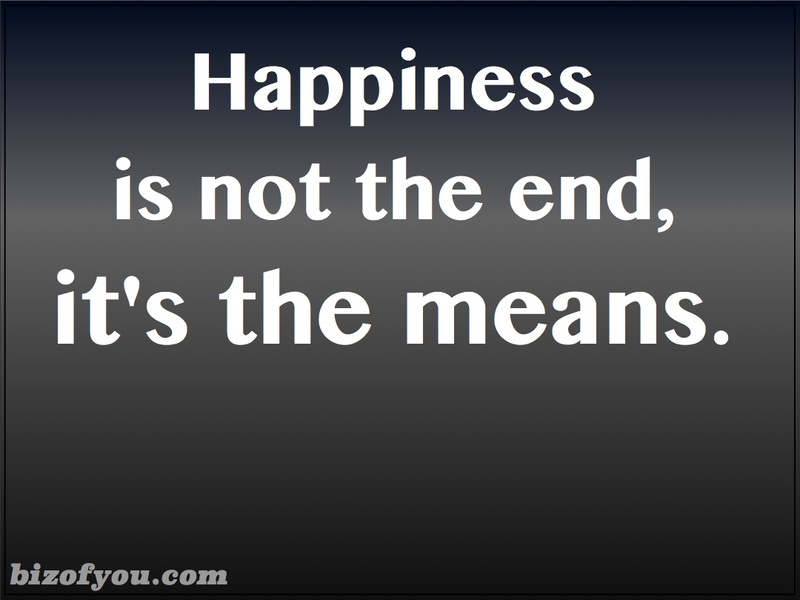 Happiness is not the goal or objective. Happiness is the means by which we can live a satisfied life. The biz of you is predicated on taking responsibility for your decisions and actions. If you think change is needed, it starts with yourself. As Ron indicated, “Things aren’t gonna change unless you do.” I don’t think I could have said it better.